The team at Acacia Vet Surgery have been looking after alpacas in the Rockhampton/Yeppoon area from pets to the largest farms for many years and therefore have a vast wealth of experience with these unique livestock. As such our farm works exclusively with this group of experience veterinarians in managing our general herd health and husbandry, case studies, dentistry, medicine and surgery, blood and faecal analysis, breeding and ultrasounds, DNA and stud certification needs. 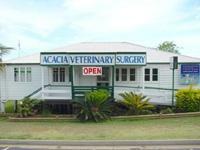 Acacia vet surgery are happy to treat your pets/herd by visits to your farm or at their surgery in Yeppoon and offer an emergency after hours service as well. Experienced alpaca vets, they are also prepared to consult with your vet over the phone if needed.